After a brief respite with his sister Valentine on Earth after graduating from Battle School, Ender was shipped off to Command School. At Command School, Ender was put up with a whole different set of challenges and games to test his mettle, and from which we can learn more lessons for business and social media. When he first arrives at Command School, Ender is greeted by Mazer Rackham, hero of the second Formic War. Rackham became a legendary figure for his amazing defeat of the Buggers’ invading army. Gary Vaynerchuk always preaches that one should find someone who inspires him or her and attempt to intern with them, as Ender figuratively does. Mazer mentors Ender with the knowledge he gained by facing their insectoid foes, giving Ender an insight that he would not necessarily have gained so quickly on his own. There are always those who have tread a path before us, and although they may not have taken the exact same road we plan to, we should always heed what they say and take advantage of the prior knowledge. The secret of Mazer Rackham’s victory was a lucky shot at the spaceship carrying the Formic queen. Since their foes were insects of a hive mind, the invading army was stopped. One never knows when the shot he or she takes will be the one that hits and leads to victory. By taking every shot, coupling some luck with the skill of when and how to shoot, the ability to hit that bullseye that will be victorious is always a possibility. Once Mazer acclimates Ender to Command School, he introduces Ender to a new game. In this game, Ender leads a fleet of ships against a Formic fleet of ever increasing difficulty, which Mazer informs Ender that he is programming. In these new games, Ender’s digital foes learn with each encounter. Just as in life, each time we skirmish with people, they learn our tactics and techniques. We need to constantly come up with new ideas and continue to innovate or stagnate and die as others seek to overcome and be more successful. Just like sports teams that watch game footage of themselves and their opponents, we must be aware of our own strengths and weaknesses as we engage others in the free market. Ender is quickly joined by former members of his Dragon Army to assist him as his sub commanders. A number of his previous Battle School classmates lead smaller groups within his fleet, allowing Ender to come up with more complex techniques to battle the Buggers. Instead of having to control every ship himself, he is able to delegate the fine controls and focus on the big picture. If we only watch how the small pieces move, we miss the big picture. By working with others and delegating responsibilities, it frees the mind to focus on other things, like planning the next steps instead of being forced to maintain focus on the current step. As the battles become more frequent and more complex, they take their toll on Ender once more. He and his commanders become more strained. They begin to slowly break down behind their consoles, detrimentally affecting their performance. Each person needs to know their limits and the limits of those around them. Even as they wear down, Ender’s comrades attempt to support each other and keep each other going. Part of being a team is working together laterally and being able to assist and support each other even in the most trying of circumstances. The game continues on until the simulations reach the Formic homeworld, and Ender just wants to stop playing. With no desire to continue on, he triggers his nuclear option, the Molecular Disruption Device, a weapon that breaks it’s target down to it base atoms and jumps to the nearest objects and repeats the process until destroying everything in it’s vicinity. Ender sacrifices his entire fleet and destroys the Formic homeworld and their fleet. An option of such destructive capacity should always be a last resort, and even when used is at such a terrible cost that it should be avoided except in the most dire of circumstances. Although it is a victory, it could be a pyrrhic victory if it cripples your ability to continue on. Once Ender gains his victory, Mazer informs him that he was never controlling the enemy fleet, but he was actually giving orders to the real fleet through instantaneous communication. When developing, always treat it as the real thing, since you never know when it will become your actual product. Google often releases products as “beta” since they may be released before they are perfect but it allows them to iterate with user input when they have developed to an almost stable point. I once worked for a company who excelled at creating demos to show to other companies, but never released a working product. Treating every situation like the real thing can only prepare you for the real situation when it arrives. Even after completing Command School, Ender learns one last lesson. He finds the last queen of the Formics, from whom he learns their history. Everyone has a story we can learn from, whether we consider them friends or foes, we can hear their stories and learn from them to further our own stories. Everyone has something to share, it’s important to listen to what they have to say and learn the morals of their stories. 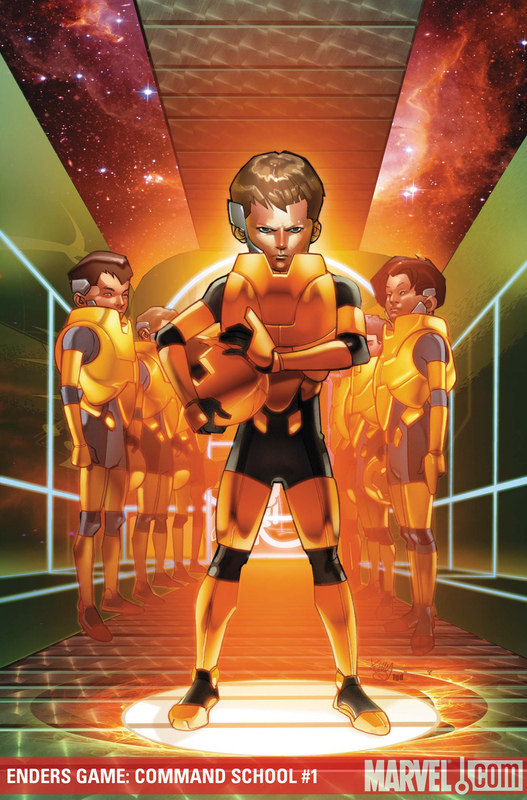 Ender’s Game is a story of great depth that can inspire in many ways from its story. Between Battle School and Command School, the lessons of one boy’s adventure as mankind’s savior gives us many things to think about and explore in our own lives.